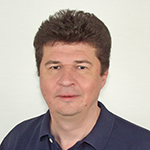 With more than 30 years of experience in the software industry, Alex Ivanenko takes the lead on GrapeCity projects as a program manager for Wijmo. For Alex, the most impressive thing about working at GrapeCity is how many people from different countries of origin can comprise one team, working together productively and respectfully despite possible political tensions between countries. When he's not working, Alex enjoys travelling, fishing, and picking mushrooms. This article introduces the Web Components technology and its support in Wijmo.